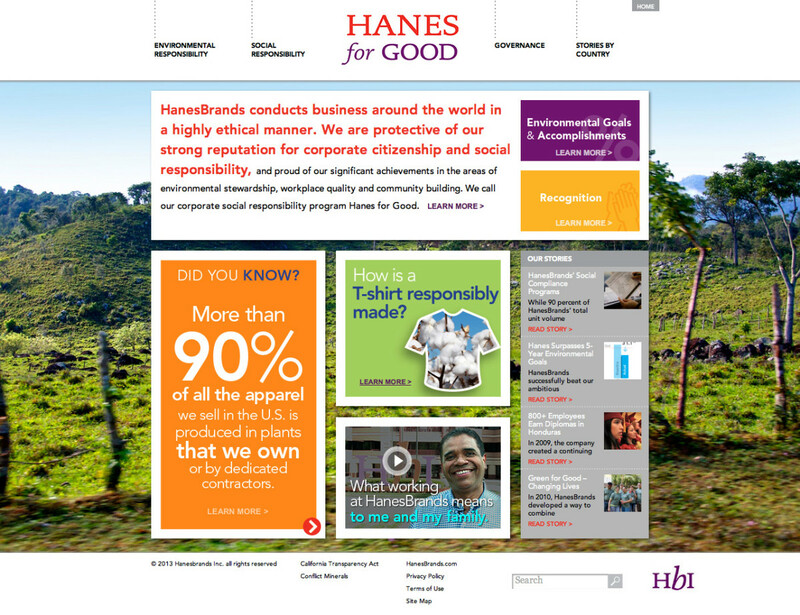 HanesBrands Inc. is known for being a leader in corporate social responsibility (CSR) practices within the textile industry and beyond. 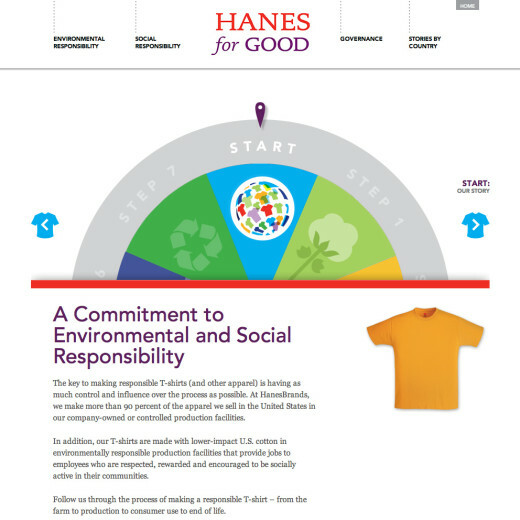 Although their efforts had positively influenced countless communities and individuals, many of those stories had gone untold, or were buried too deeply within their CSR website to be found by the average user. 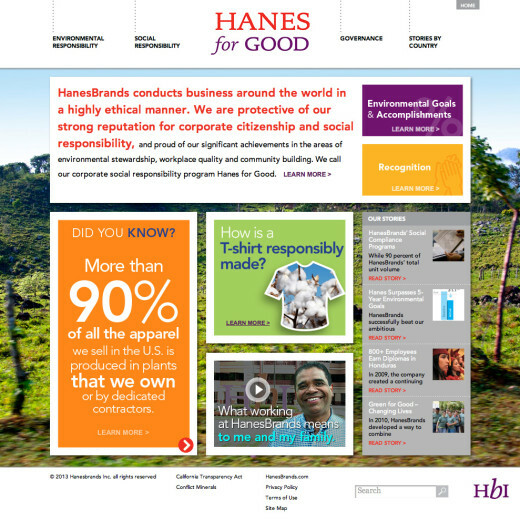 Our challenge was to create a website that would satisfy two audiences: the general consumer seeking humanizing stories and a basic understanding of HanesBrands CSR efforts and the organization representative performing due diligence and looking for in-depth detail about policies, practices and goals. 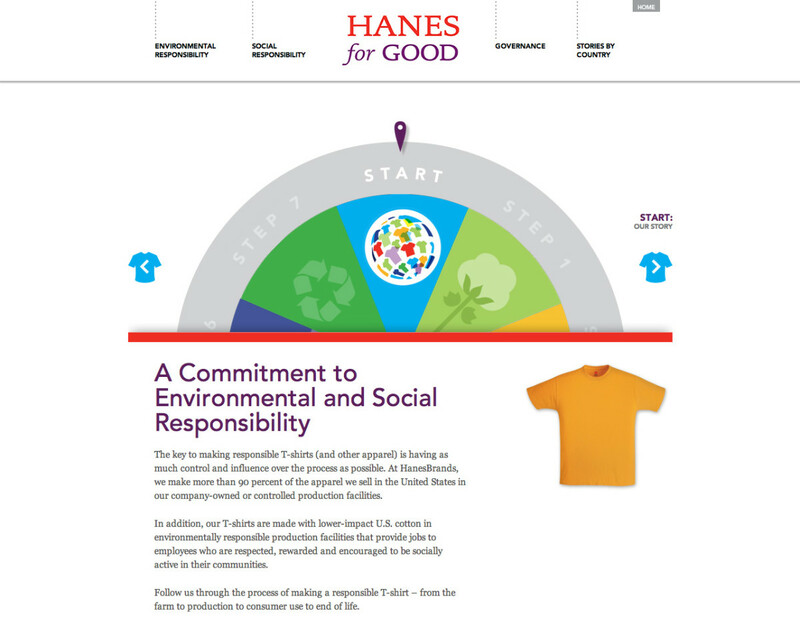 To see how we did, take a look for yourself.